In an increasingly competitive arena improving operational performance is becoming important for the success of healthcare providers. A critical requirement for improving operational parameters is planning and making information technology investment to support an efficient way of doing things. 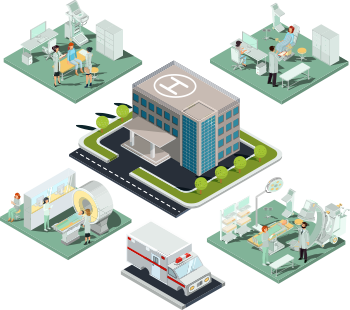 Investment in Hospital-wide Enterprise Systems to tackle contacts, accounting, planning, among others, is critical for improving operational parameters and Accely can help your healthcare services achieve the same. Accely has proven methodology of rapid ERP applications package implementation, application upgrade & support in business office systems like Oracle & SAP.